The Client is the Singapore office of a cloud-based HR software solutions provider headquartered in Japan. The company’s main offering is its on-demand, subscription-based time attendance software used by more than 9,500 companies and 600,000 users throughout Asia. Building on the success of its cloud-based time attendance management solution, the Client recently rolled out a more internationalized version of its flagship product. As of February 2018, the current platform served 9,500 companies with over 600,000 users, mostly located in Japan. To accelerate its customer acquisition initiatives, the Client sought to expand into several key Southeast Asian countries. The Client’s own research indicated a strong potential for tight product-market fit in the region, placing Southeast Asia as the next major growth driver for the company. By providing an open API that allowed global customers to integrate any payroll system with the Client’s suite of HR software solutions, the company aimed to bring its product portfolio in front of a broader group of potential customers. But first, the company needed help with a key part of their customer acquisition strategy: direct outreach. The Client relied both on inbound and outbound marketing channels to capture and convert prospects, but they felt their outbound efforts could use a boost. Before partnering with Callbox, the Client’s marketing team was generating an average of 6 booked appointments for their sales reps per month. The Client decided to outsource their outbound activities instead of hiring full-time staff to handle prospecting, so that the company could assign their internal people into lead nurturing and lead conversion roles. 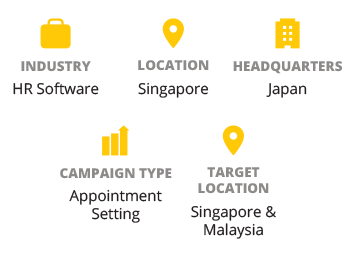 Callbox has a long track record of planning and managing successful targeted marketing campaigns for B2B SaaS companies in Southeast Asia. That was one of the main reasons why the Client chose Callbox from a shortlist of marketing agencies. A pilot three-month campaign was first carried out to gauge the program’s impact on the Client’s sales pipeline. With the pilot run’s results exceeding all key targets, the Client gave the go-ahead for a one-year appointment setting program, which is wrapping up its fifth month at time of writing. Callbox and the Client worked out the specifics of the target companies and relevant decision makers based on the Client’s ideal customer profile (ICP). The Client wanted to target construction, manufacturing, wholesale trade, retail trade, services, and logistics companies in Singapore and Malaysia with at least five employees. From the specifications, a list of HR, IT, Finance, and other key managers was prepared and submitted to the Client for approval. 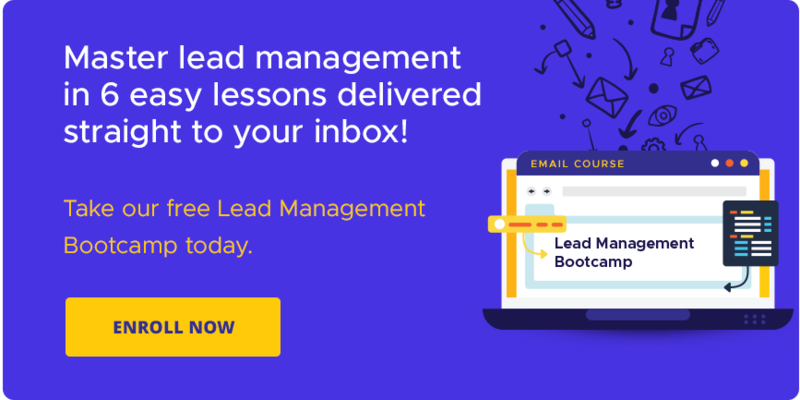 The Callbox team designed and executed an outreach cadence consisting of targeted emails, one-on-one sales conversations, and LinkedIn marketing. The touch points were initially set based on the project’s objectives and timeline, and later fine-tuned according to campaign results. The overall program was carried out by a dedicated team that had in-depth experience in marketing campaigns for SaaS solutions, with each channel handled by specialists. Agents engaged the target decision makers through live conversations designed to gauge fit and interest. The outreach cadence also included nurture paths for following up prospects and ensuring that all booked meetings took place as scheduled. The entire project was managed using Callbox’s marketing tech stack which is powered by Pipeline CRM (Callbox’s proprietary CRM tool). The program has now completed a three-month pilot run and is now finishing up the fifth month of the main (one-year) phase. 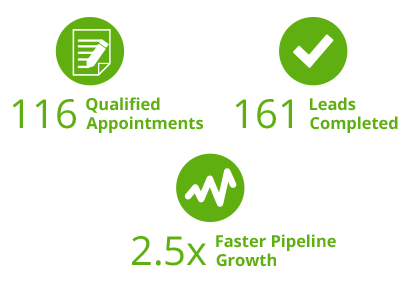 The results so far have consistently exceeded the Client’s targets, and the sales appointments Callbox generated have significantly expanded the Client’s pipeline. The initial three-month test campaign yielded a total of 51 qualified appointments, which was 8.5 times more than what the Client could produce. Meanwhile, the main phase of the program has delivered 65 qualified appointments as of press time. This means that, throughout the engagement so far, Callbox has managed to hand off an average of 15 qualified appointments per month, which is almost 2.5 times what the Client’s in-house team can generate. Aside from appointments, the two campaign phases also yielded 161 completed leads, which are prospects that match the target customer profile but require further nurturing by the Client’s in-house team. 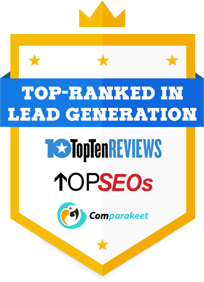 Get More Singapore Software Leads. Enquire Now. Pick a date that works for you. Founded in 2004, Callbox has evolved into a specialist provider of Multi-Touch Multi-Channel Marketing solutions for businesses and organizations worldwide. Its core competencies include Lead Generation, Appointment Setting, Lead Nurturing and Database Services, delivered through its proprietary marketing automation platform, the Callbox Pipeline. Callbox enables companies gain a foothold in their priority markets by initiating conversations with prospects through the efficient and intelligent use of targeted touchpoints over six channels: voice, email, social, chat, website and mobile.